When should you see your Mount Pleasant dentist? The American Dental Association (ADA) recommends children through senior adults see their dentists at least twice a year. Without routine dental care, small problems with teeth and gums go unnoticed until they become big problems. Learn what Robert C. Sikes DDS, experienced Mount Pleasant dentist, does during oral check-ups and why each component is so important for your bright, healthy and strong smile. Your 6-month check-up forms the basis of good dental health. In it, Dr. Sikes looks for signs of decay and gum disease–one of the leading causes of tooth loss in the United States today. He also does a thorough inspection of whatever restorations and cosmetic work you already have–things such as fillings, crowns, fixed bridgework, dental implants, porcelain veneers and bonding. The dental team employs modern technology to ensure nothing slips by their notice. For instance, a small, handheld intraoral camera easily spots and images hidden decay or problems with old fillings or cracked enamel. Digital x-rays, including panoramic views when needed, show problems with roots and bone structure. Dr. Sikes also assesses the soft tissues of the mouth for signs of oral cancer. Oral cancer strikes almost 48,000 new patients in the United States annually. The Oral Cancer Foundation says that early detection and treatment substantially raises 5-year survivability rates. So, again, routine care staves off big problems. Your 6-month dental visit includes a thorough hygienic cleaning. The dental hygienist gently scales teeth and the gum line to remove plaque and hard tartar. These biofilms accumulate from the foods we eat. When missed by daily brushing and flossing, plaque and tartar, and their associated bacteria, set the stage for cavities and gum disease. After scaling, the hygienist polishes the teeth for a refreshed feeling and sparkling look. Finally, based on his findings, Dr. Sikes puts together a comprehensive treatment plan to include a schedule of regular visits and details of restorative care needed. Plus, Dr. Sikes addresses any cosmetic goals the individual has–repair of chips, teeth whitening and the like. How long is too long before you see your Mount Pleasant dentist? If it has been longer than 6 months, call the offices of Robert C. Sikes DDS right away. It’s never too late to develop oral health habits that benefit your teeth, gums and overall well-being. 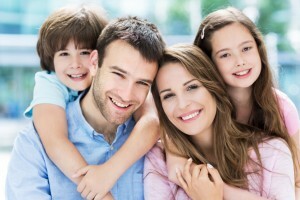 Comments Off on When should you see your Mount Pleasant dentist?